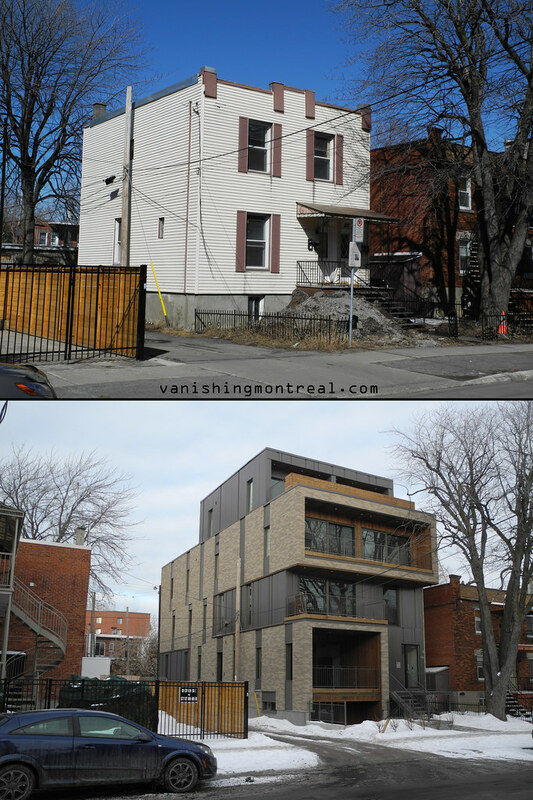 In Toronto this new build would be a single family residence, but its in Montreal so I'm guessing it is a condo? 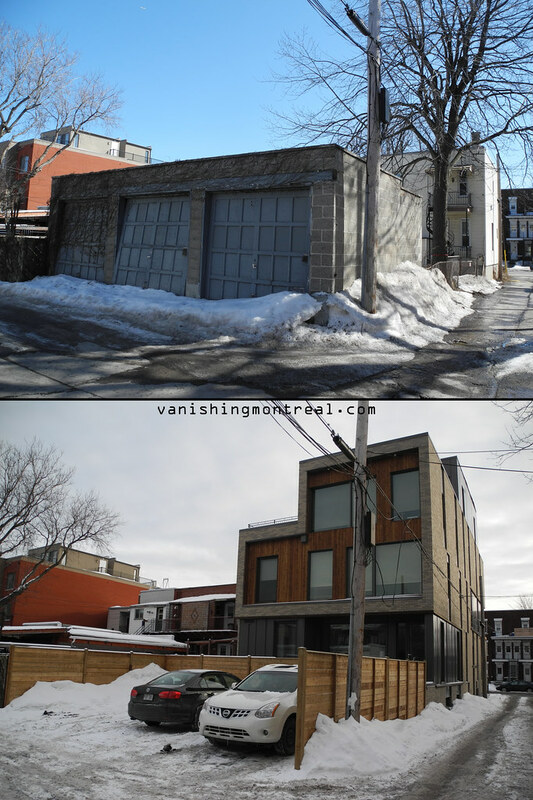 Seems a tad too dense for the lot/neighbourhood. Why do I think it is going to attract petty crime too? There are 6 units in this building. There are 3 parking spaces for an additional $20k!